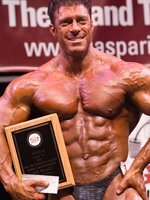 Entertaining IFBB Pro Bob Cicherillo Puts It All In Perspective! Whether you are new to bodybuilding or not, there is a good chance you've heard of Bob Cicherillo at one point or another. Here he discusses more about his background, training properly, involvement in the industry and more! Bob Cicherillo earned his Pro Card in 2000. He knew being a spokesman was as important as being a champion. Bob gives his top five prediction for the 2008 Olympia. Whether you are new to bodybuilding or not, there is a good chance you&apos;ve heard of Bob Cicherillo at one point or another. 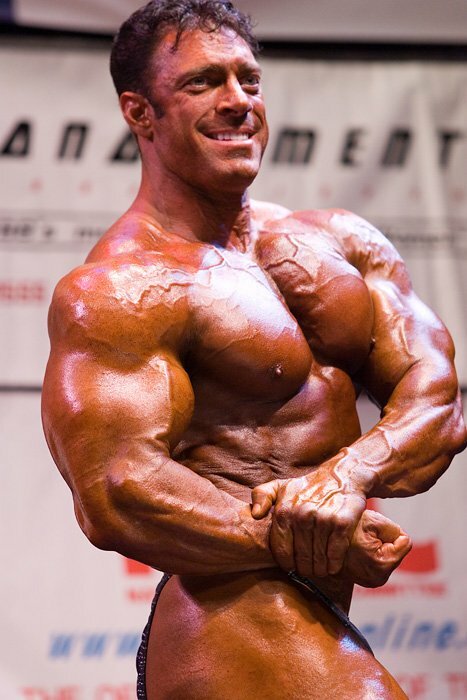 Some of his biggest credits up to this point include competing at his very first competition at the tender age of 13, going on to earn his Pro Card in 2000, competing in major bodybuilding competitions including Mr. Olympia, the Arnold Classic, the Ironman Pro Invitational, and then finally, coming in first spot in 2006 at the Masters Pro World competition. 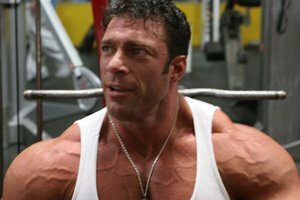 On top of his bodybuilding efforts, you might also recognize him from a variety of different on-screen roles, as he&apos;s appeared in such shows as See Arnold Run, Demons at the Door, and as &apos;The Strong Man&apos; in the hit TV series, Charmed. Recently, I was lucky enough to ask a series of questions to Bob to get a better insight into what he&apos;s all about. [ SC ] What was it like competing in your first bodybuilding competition at the young age of 13? Was it a very nerve racking experience for you? [ SC ] What first got you interested at such a young age in this sport? [ BC ] Superheroes - I always wanted to be one, but figured I needed to LOOK like one first. Superheroes - I Always Wanted To Be One. [ SC ] Many people feel uneasy about having young boys between the age of ten and fifteen lifting weights. Why do you think this is, and what was your training program like back then? [ BC ] Old wives tales die hard. Common thoughts are it will stunt your growth and you&apos;ll become muscle-bound. I guess it could have stunted my growth - maybe I was supposed to be 6&apos;4" instead of 6&apos;! [ SC ] As you&apos;ve moved throughout your career, what would you say is the most critical thing you learned in terms of getting the results you wanted? And, if you could go back and change something you did, be it a training technique, a dietary practice or otherwise, what would it be? [ BC ] Definitely putting recovery before training. We didn&apos;t have near the knowledge back then that we have now with regards to this. Everything was about beating yourself into the ground with work ethic - more sets, more reps, more cardio, etc... it&apos;s a great way to overtrain. If I could change one thing, it would be a greater attention to diet and how to fuel the muscles for training as well as recovery. It&apos;s A Great Way To Overtrain. [ SC ] With regards to the various movie actors or actresses you worked with, who was your favorite? [ BC ] I would say Ben Stiller and Vince Vaughn. They were both pretty funny and amazed at my physique! [ SC ] What are your current training goals? More specifically, are there any body parts you are really trying to improve on and what are you doing differently with your training to accomplish this goal. [ BC ] My current training goals have changed from my competition days... I&apos;m more into maintaining my physique, rather than trying to perfect it. My goals and job have changed quite a bit over the last few years as I&apos;ve become more involved with the sport and business of bodybuilding. [ SC ] Speaking in terms of diet, what strategies do you use both when trying to build muscle or lean down for a competition? What do you feel is the biggest mistake bodybuilders make when trying to get leaner? [ BC ] The biggest mistake isn&apos;t guys trying to get LEANER - it&apos;s guys trying to get BIGGER. This almost always results in less than admirable results. The strategy is the same for both - train smarter, not harder; diet smarter, not harder. Unfortunately, effort isn&apos;t always rewarded in a sport that only recognizes appearance. In A Sport That Only Recognizes Appearance. [ SC ] Do you find it&apos;s getting harder to keep up with your training volume as the years go on? Or do you still feel as good training now as you did five or six years ago? [ BC ] I feel better. The workload required to stay at the top of your competing game is extraordinary. The big weights, the consistency, the constant taxing of the body, the joints, the tendons, the ligaments, trying to constantly push the envelope while staying healthy - it is NOT an easy task for a pro, in any sport for that matter. Of Your Competing Game Is Extraordinary. [ SC ] Do you take any time off in the year to just get away and give your body a rest? Or are you pretty much training fairly intensely year round? [ BC ] I almost never take time off unless I have to. With my travel schedule, I&apos;m lucky to get in 4-5 days a week at best. Appearance lends to credibility, both to the other pro&apos;s, the bodybuilding community, Bodybuilding.com, and Weider as well. I&apos;m in the business of bodybuilding. I think the physique should reflect that. I Almost Never Take Time Off Unless I Have To. [ SC ] In terms of supplements, what all are you taking at the moment? Which supplement do you feel has given you the best results so far? How has your supplement regime changed over the years? [ BC ] I get to try all kinds of new innovative stuff these days (some of the perks of working for the worlds number 1 supplement seller!). I try all the fat burners along with some of the pre-workout formulas. My supp regime has changed as much as my goals... When I was looking to put on size, I would try the (then new) creatine based supplements and while cutting up, I would use various fat burners. Basically, anything to make the body more efficient. [ SC ] You are one of the few Pros that does not compete but are still very involved in the sport and make a living out of your hobby. Because you seem like a natural within your multiple roles, do you at all take this for granted or do you look back at how lucky you are? [ BC ] I feel lucky only in that I&apos;m able to make a living out of a sport I decided to devote my life to many years ago. As for my multiple roles and duties, I&apos;ve worked very hard in developing my technique, personality, and business ethic. I knew years ago that becoming a better spokesman was just as important as becoming a great champion if there was to be any chance of making a long term living out of Bodybuilding. My Technique, Personality, And Business Ethic. [ SC ] You haven&apos;t competed since you one your World Title Belt. Did getting married or having a child give persuasion to your decision to take time off from the stage? [ BC ] No - one had nothing to do with the other. My wife Tocha supports my decisions 100%. The timing was simply right - to have the ability to walk away on top and leave the stage a champion, without regret or unfinished business. These things were all really important to me. Winning the USA and my pro card after 13 years at the National level in the NPC was my Olympia and everything after that was icing on the cake. 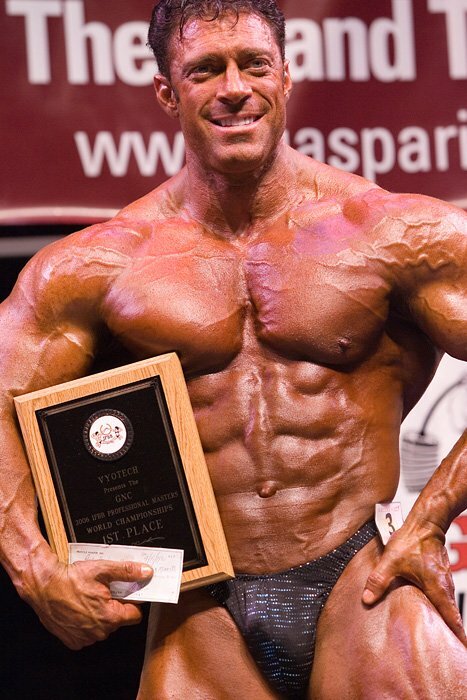 Bob Cicherillo At The 2006 IFBB Masters. [ SC ] When we have watched you on the Road to the Olympia series you seem bigger than a lot of the pros you are interviewing, and people frequenting the forums often share this view. Surely comments like this sway a small inkling inside you to don the trunks again? [ BC ] (laughs) Not at all. I believe part of being a champion is to know when to walk away. Competing has to have a greater purpose; the ends have to justify the means. Most guys compete to get contracts, gain notoriety, get into the magazines, and make some money from the sport. I have all those things, and more. I truly believe I will be remembered more for what I&apos;ve changed in the sport, and the opportunities I&apos;ve created for others, than for being a good bodybuilder. Introduction: Video Trailer. Bob Chick Charters An Airplane! 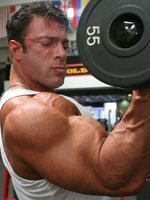 [ SC ] So, you act in Hollywood, you are the IFBB Pro rep, the host of Pro Bodybuilding weekly, sponsored by Bodybuilding.com and Weider. Is there anything else we don&apos;t know about you and is there anything else that you would like to venture into? [ BC ] For sure. I work on the Olympia team throughout the year, I&apos;m the vice president of egg whites international (www.eggwhitesint.com), I have a 14 handicap in Golf and have won 3 tournaments - placing 3rd in the L.A. City championships. As soon as I get my handicap under 10, I&apos;ll put out a DVD on training to improve your golf game for the big man. It&apos;ll sell like hotcakes! Our 100% All Natural Pure Liquid Egg Whites Are Liquid, Not Raw Egg Whites! [ SC ] To keep our sport thriving we need to educate our beginner bodybuilders the basics to building mass. To our aspiring bodybuilders, what bodybuilding program would you advise in terms of exercises to choose and training frequency etc? [ BC ] I&apos;ve advocated training LESS, for many years now - to not to over-do it. No one in the history of bodybuilding ever got big in the gym. No one ever built anything in the gym. Understand that training is all about BREAKDOWN of muscle and recovery is all about BUILDING up. No One In The History Of Bodybuilding Ever Got Big In The Gym. [ SC ] You dress very well for a bodybuilder. Are there any brands you can recommend so our sport doesn&apos;t look like it&apos;s still sitting in the 80s? [ BC ] Yes, expensive ones!!! Dressing sharp isn&apos;t cheap, especially when you&apos;re 265 lbs. Dressing to look good isn&apos;t tough for a bodybuilder, you just have to be confident enough to wear what&apos;s fashionable, what&apos;s in, and not worry about whether you look big enough or believe you having to show your physique 24/7. The bigger you get, the less you feel the need to let everyone know. [ SC ] As the IFBB athletes rep you have a lot of say when it comes to the growth of bodybuilding. What changes would you like to see in order for it to spread its wings? [ BC ] As most know by now, I&apos;m very vocal when it comes to changes for the betterment of the IFBB, as well as the athletes. Jim Manion has been very supportive in my efforts to make change, and get more money to the athletes, changes to the judging system, health insurance available for the athletes, and so on. One change I would love to see is more athletes getting involved in the business of bodybuilding, and not just sitting back waiting for me (or others) to get it done. It&apos;s OUR sport, and we need to act as one - as a family, to insure it&apos;s growth. Co-Host Of Pro Bodybuilding Weekly Radio. [ SC ] Do you still have your favorite bodybuilders you root for? [ BC ] Sure do. I work with many bodybuilders behind the scenes, mostly in their presentation and posing, and business of contracts and general advices concerning their career. I simply want guys to show up in 100% condition and prepared, after that, it&apos;s in the judges hands. Video Posing Guide With Bob Cicherillo. [ SC ] Who do you feel has the perfect physique on the circuit today? [ BC ] There are a lot of physiques I admire. Dexter Jackson for his near flawless physique, Jay Cutler for his tenacious assault on the Olympia and being the champion he is, Phil Heath and Dennis Wolf as the next generation. I admire a lot of the guys for different things, not all physique related. Some have great drive, determination, and work ethic. I get to see a lot from the position I&apos;m in. 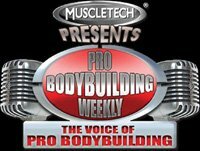 Pro Bodybuilding Weekly is the voice of professional bodybuilding. The #1 rated bodybuilding radio show features the biggest names in the iron game to their weekly broadcasts. With Hosts Dan Solomon and Bob Cicherillo. 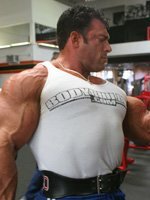 [ SC ] Can you give me your top five prediction for the 2008 Olympia? [ SC ] Thanks Bob. Is there anything else you would like to add? 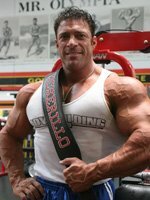 [ BC ] Yes, I would like to thank the bodybuilding fans from around the world for their support, and I would like to thank Jim Manion for allowing us (the athletes) to have a voice and having our best interests at heart. I would also like to take this opportunity to thank my Bodybuilding.com family of Ryan, Russ, and Jeremy. They believed in me, continue to believe in me and my abilities, and together we have made Bodybuilding.com the worldwide leader in bodybuilding. The Worldwide Leader In Bodybuilding.